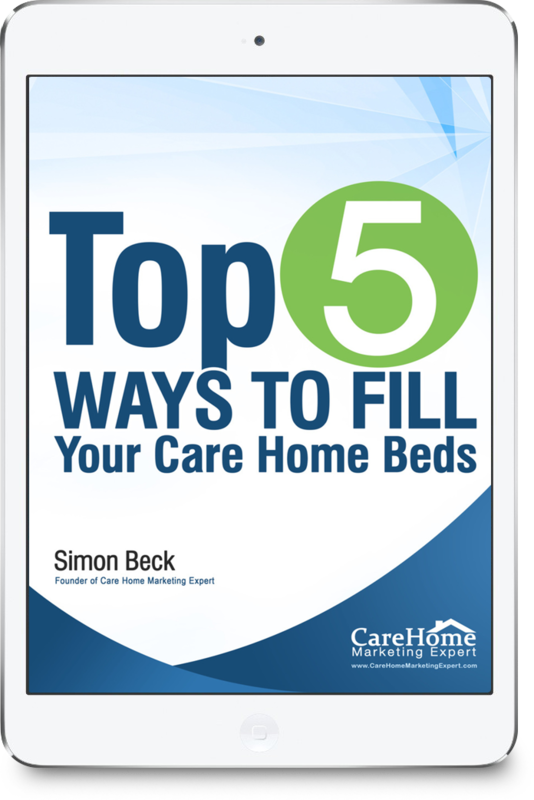 Hi it’s Simon Beck founder of Care Home Marketing Expert here and in this blog post I’m going to show you a case study where one of our care home clients invested just £360 and secured £78,000 of extra revenue in the space of about four weeks – all because he used our call tracking service. Now,before we get into the case study & just in case you’re not familiar with it, let me quickly run through what call tracking is and how by not using it you could be missing valuable enquiries for your home without you even knowing it. We give you a unique number to use for your care home. It’s a virtual number so there are no telephone lines or anything to install. Your prospective customer calls the number. The call is routed through our software – and then on to your normal business telephone number. You answer the call as normal. Simple. But here’s the clever bit. When the call is routed through our software it is recorded along with all the details of the call like the time it was placed, the number that called you, if it was answered and so on. Think how much it costs to generate a sales lead and how much the lead is worth to your home in potential revenue and profit. Just one missed call can be very expensive. Now think of how busy your staff are, particularly outside normal working hours and imagine how many times a call goes unanswered. With call tracking the system will immediately alert you by email every time there is a missed call and provide you with the caller’s number so that you can call them back. So, no more missed enquiries. Let me ask you. Do you really know that your staff are saying all the right things and not letting potential new residents slip through your fingers? With call tracking all the calls can be recorded so that you can listen back to make sure that your staff are handling them correctly and giving out the correct information about your home. This is what happened with our client that I mentioned at the beginning. With fees of £500 per week and an average length of stay of three years each new resident is worth £78,000 to him. However, he only gets 3 or 4 new enquiries each month so it’s absolutely vital to his business that each and everyone is handled properly and nothing falls between the cracks. Just like it is for yours. By listening to the call recordings he quickly found problems. Soon after starting a person called up enquiring about a place at the home. No contact details were taken and the person enquiring was told they couldn’t be accommodated, even though they easily could be. Without call tracking that would have been a potential £78,000 gone and lost forever to his competition. However, with the call tracking the home owner was able to call the person back, correct the mistake and invite the person to come and view the home. They subsequently became a new resident so with just that instance the call tracking generated £78,000 worth of new business for the home. Any there have been several other instances like that since. Our client now describes the call tracking as a “revelation and essential for the running of his care home business”. You see you aren’t restricted to just one number. The system is so inexpensive that you can have a number for each and every marketing channel. For example, we all know how expensive it is to place an advert in the trade press or news paper. But how do you know if that advert is directly responsible for generating enquiries? With call tracking you have a unique number dedicated to that advertising campaign so you see exactly how many calls are generated and therefore you can accurately calculate the return on investment from that ad. This alone can slash wasted advertising costs. And then, instead of the money being washed down the drain, it can be spent on marketing that actually works and has been proven to provide the best return on investment. So you get a double win. Want to know how many enquiries your website is generating? Have another unique number dedicated to the website. Want to know how successful your local leafleting campaign? Use another number and you’ll be able to tell. There are actually many other additional benefits to the system too. Like showing how many calls come in out of hours that you may be missing, or showing peak call periods where calls are not being answered because there aren’t enough staff available. You can even have the system automatically transfer a call to other numbers if the primary number is busy. Hopefully by now you can see how call tracking can slash your marketing costs, boost your enquiries and help you to provide a better service to your customers by identifying where staff need telephone training. So, you may be wondering how much it costs? The answer is much less than you’d think. The system is very inexpensive, starting from just £25 per month and can be set up in minutes. There’s no long term contract, you just keep using it as long as you want to and you can cancel at any time. However, I’m sure that if you tried it and saw how much business is saves you’d want to keep it! Call tracking is one of the best kept secrets in the marketing industry. Considering how inexpensive it is and all the benefits it brings I recommend that every care home should use it. If you’d like to try call tracking for your home click here to see the packages available and the prices. If you like this post please share it and why not leave a comment. We’d love to know what you think. Have you tried call tracking yourself? What benefits did it bring? If you have any further questions that we haven’t answered please don't hesitate to leave your question in the comments below or call us on 01977 232233.